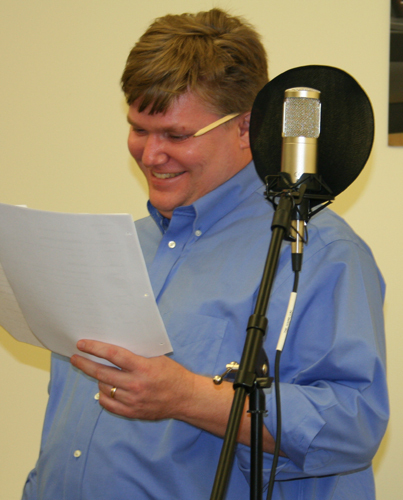 My name is Greg Krosnes and I am a local actor, voiceover artist, and director. An alumnus of Rhodes College and UCIrvine, I've taught at Rhodes College and Germantown High School, but am currently happily teaching and directing at Arlington High School in their Fine Arts program. I have taught Intro to Communications, Intro to Theatre, and Acting here at Arlington, but currently teach Intro to Film and Video and Advanced Acting. Please scroll down to find out a little bit more about me. I try to keep up my community involvement with local theaters. 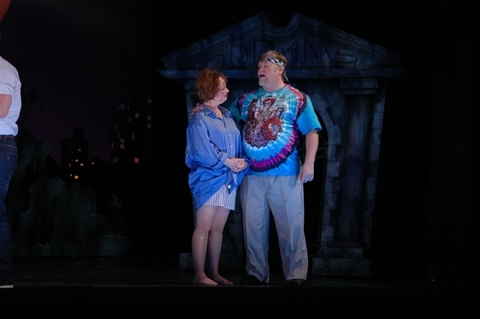 This is a shot of Lorraine Cotton and me as Alice and Mal in Theater Memphis' production of The Addams Family. Occasionally I get the chance to direct in the Memphis area. This is a shot from Thoroughly Modern Millie I directed a few years ago down at Desoto Family Theatre. Every other year I direct a musical, and I also direct the annual Talent Show. 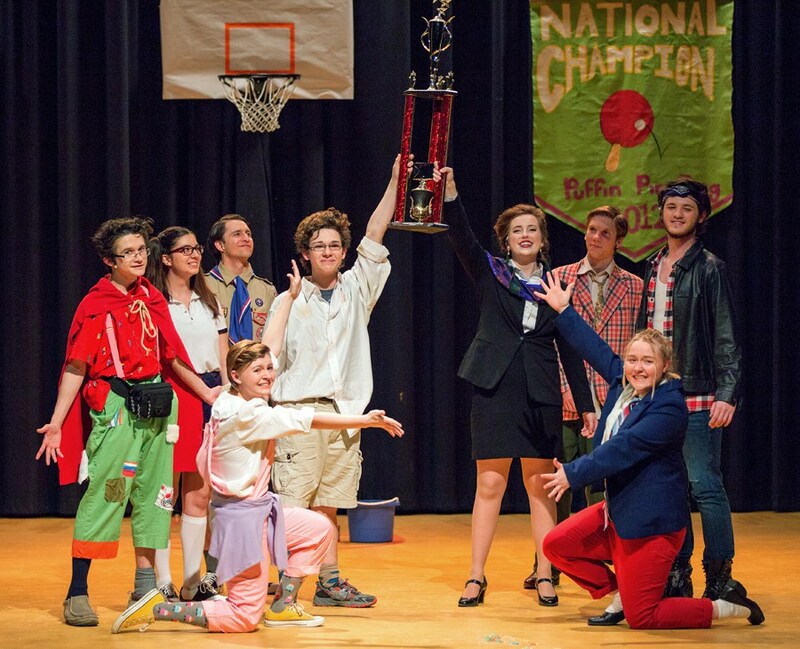 I directed this musical, The 25th Annual Putnam County Spelling Bee, at AHS in the Spring of 2015. It was a great show wherein the actors virtually became their characters. So funny!! One of my favorite pastimes is voices and voiceovers. I nip that in the bud at Chatterbox Audio Theatre. Working with old friends and new, I collaborate with talent from all across the region. 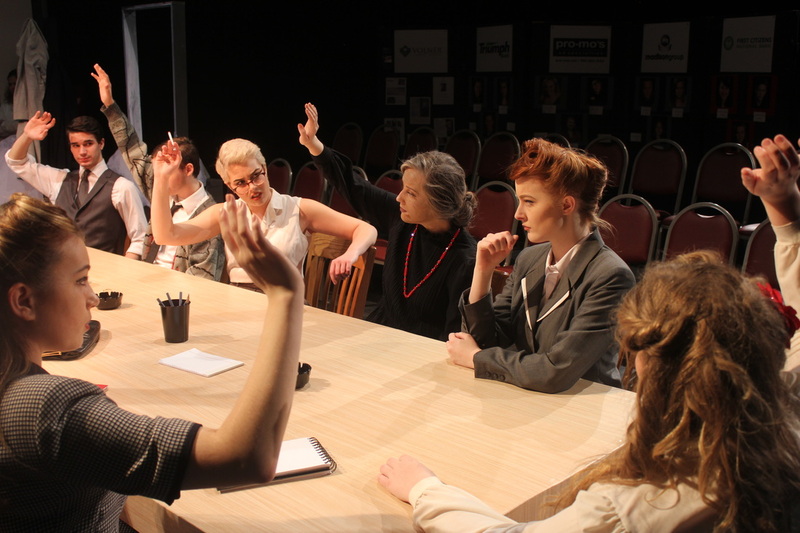 Twelve Angry Jurors. I'm so proud of the performances in this straight play. It was in the round, with audience members on all sides no more than three feet away from the performance space. Very tense, and very well acted! !